Hide deals from seller "Virtual Fit"
Limit 1 per person. Valid on Platinum Fit Package. Includes 3 months of customized personal training workouts, 3 months of meal plans and 5 Skype consultations. New customers only. Promotional value expires 60 days after purchase. Embark on a new fitness journey from the comfort of your own home with 54% off an online fitness program from Virtual Fit, available nationwide ($550 value). This Platinum Fit package includes three months of customized workouts and meal plans to help you achieve your fitness goals. Virtual Fit was launched in 2011 after a team of personal trainers came together with the same goal in mind — to create a unique personal training program catered to the needs of each client. The Platinum Fit package is an extensive, fully customizable 3-month satellite fitness program. A professional personal trainer and dietitian will work with you to create customized workouts and meal plans, and you can schedule up to five Skype consultations. The online guidance offered by Virtual Fit allows you to decide the perfect level of involvement from your trainer for an optimal fitness experience. 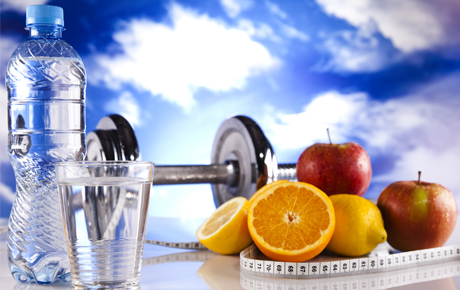 An online fitness consulting service that offers dietary and workout plans and advice.